Earlier Saturday, Israel shot down an Iranian drone after it crossed into Israeli airspace. 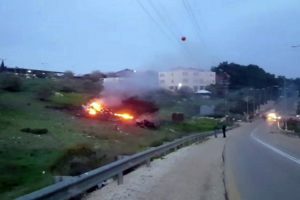 Israel retaliated for the loss of the F-16 and both sides are rattling sabers. Let’s pray cooler heads prevail. Also: More on Altered Carbon; Mayan temple in Mexico with secret entrance to the underworld; and the ultimate reversal of Hermon.